Knowledgemill makes it easy for teams to share emails and documents, turning unstructured data from individuals’ mailboxes into shared assets that teams can collaborate on. 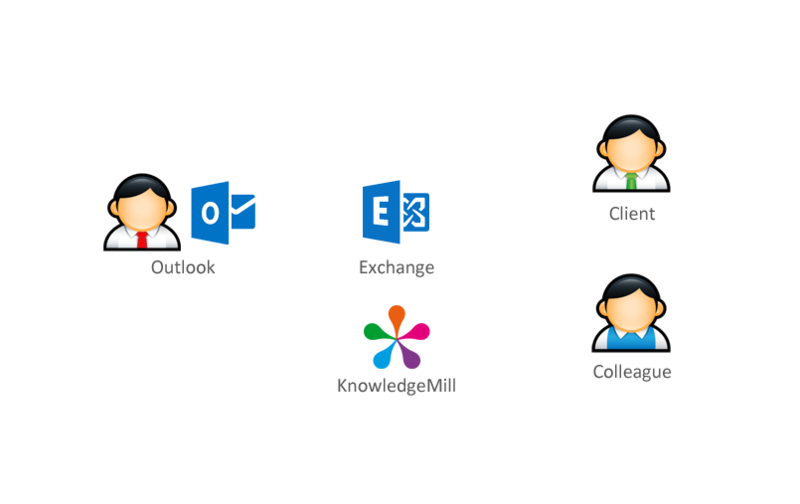 Knowledgemill integrates seamlessly into Outlook, allowing users to access all the information they need without having to switch out of their primary productivity application. Email filing fits smoothly into user’s working practices and quickly becomes second nature due to the degree of automation built into the system. Once one email in a conversation is filed all subsequent emails in the same conversation are filed automatically. 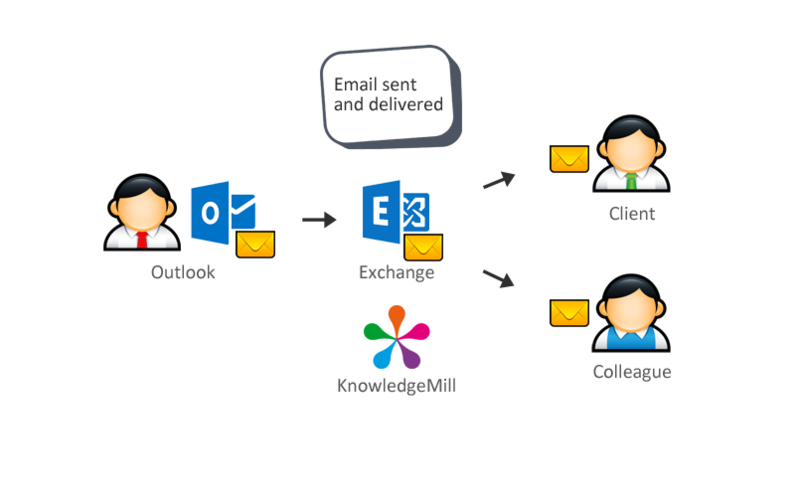 Knowledgemill will analyse the recipients, subject and contents of unfiled emails to suggest, with a high degree of accuracy, where the message should be filed. If one Knowledgemill user files a message then the email is automatically marked as filed for all other recipients in Outlook. Knowledgemill stores one copy of every filed message, even if multiple users file it. This reduces clutter when retrieving information and requires less storage. 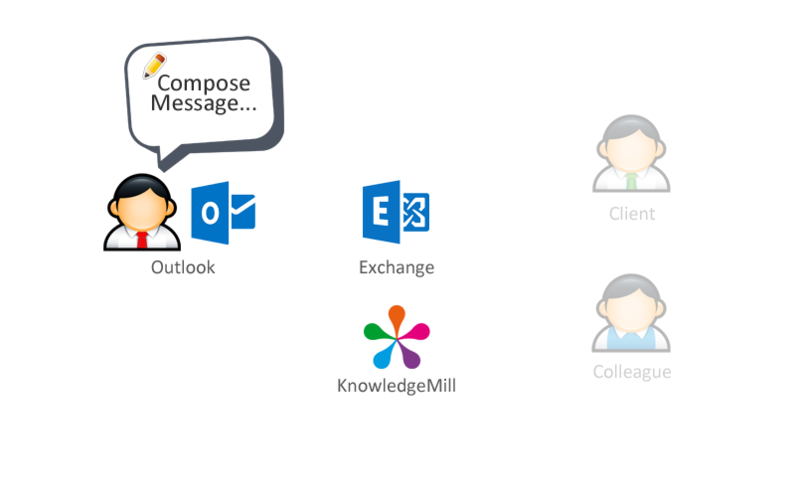 Associate an Outlook folder with a Knowledgemill folder, so any email moved into the Outlook folder, manually or via a mailbox rule, is filed automatically. Flexible policy based model that allows you to removed filed messages from users’ mailboxes after a defined period of time, thus reducing the size of their mailbox. 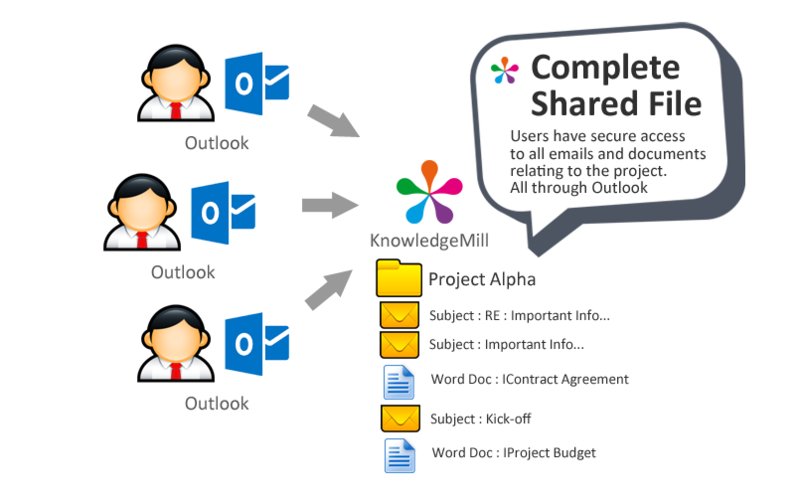 Anyone with permissions to see a Knowledgemill folder will see all the email that was filed into it. Rapidly view the contents of filed emails and attachments without having to open them. 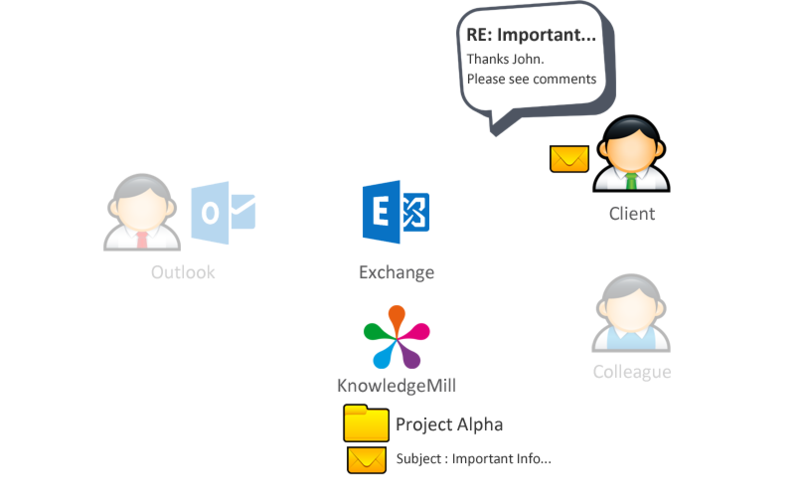 Quickly see a list of all the email attachments in a Knowledgemill Folder and locate the item you are looking for without having to trawl through large numbers of emails. Filter down a large set of email to home in on the content you are looking for. In one click see “just my email”, “just internal email” or filter by recipients, domains or internal users. Find a folder in seconds and immediately have access to all the content that was filed to it.